Four Square Test Systems was from MTS System Corporation. The type is MTS 813. You can perform meaningful life testing on automotive drive shafts, halfshafts, and joints with proven MTS Four Square Test Systems. The MTS Four Square technology meets today’s need for accurate simulation of service conditions in testing vital drivetrain components. Torsional hydraulic actuator integrated into gearbox. 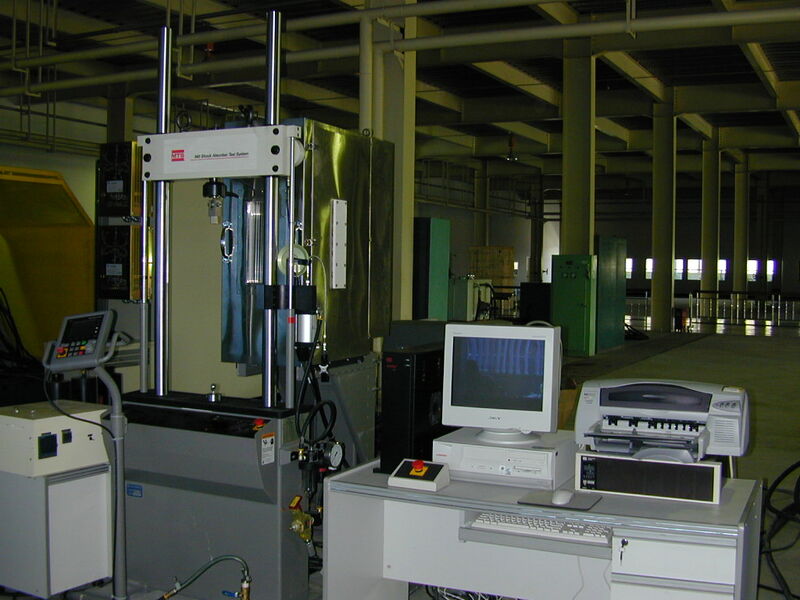 Torque fatigue Tester was from MTS Systems Corporation. Since 1966, MTS Systems Corporation has been the world’s leading supplier of mechanical testing and simulation equipment. Whether it’s used to test delicate electronics or to reproduce the force of an earthquake, MTS equipment helps ensure the quality and safety of countless products and structures used everyday by people throughout the world. Work piece length: 1500mm Max. 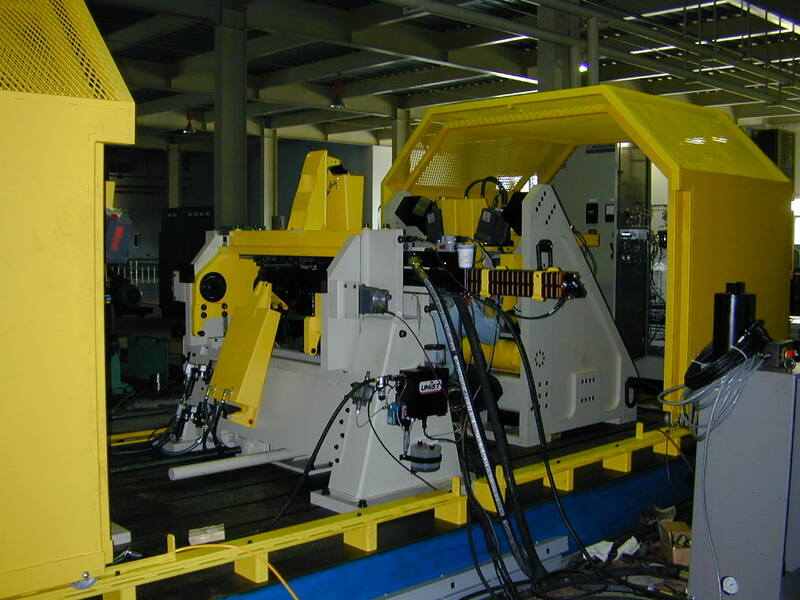 Model 850 Shock Absorber Test Systems was from MTS Systems Co. Durability test frames are designed for testing multiple specimens in one test that can run millions of cycles. The purpose of the test is to determine the service life of the specimen. Test evaluation includes an output counter or a printout of the final peak loads. Performance tests can be run on all specimens simultaneously and at user-specified intervals. - Proven MTS hydraulic power supply. 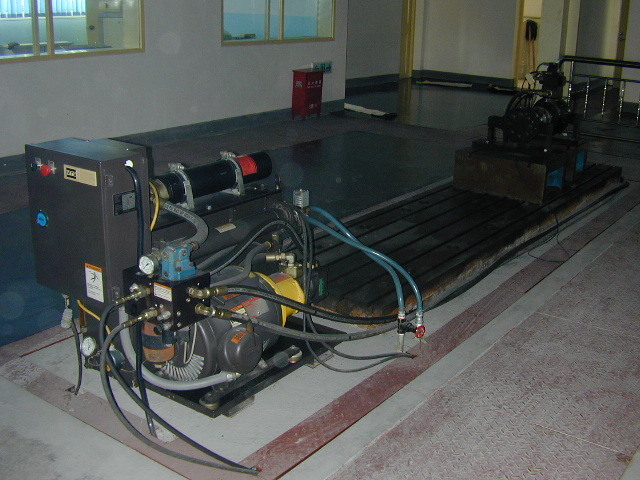 MTS 810 Elastomer test system was from MTS Systems Co. 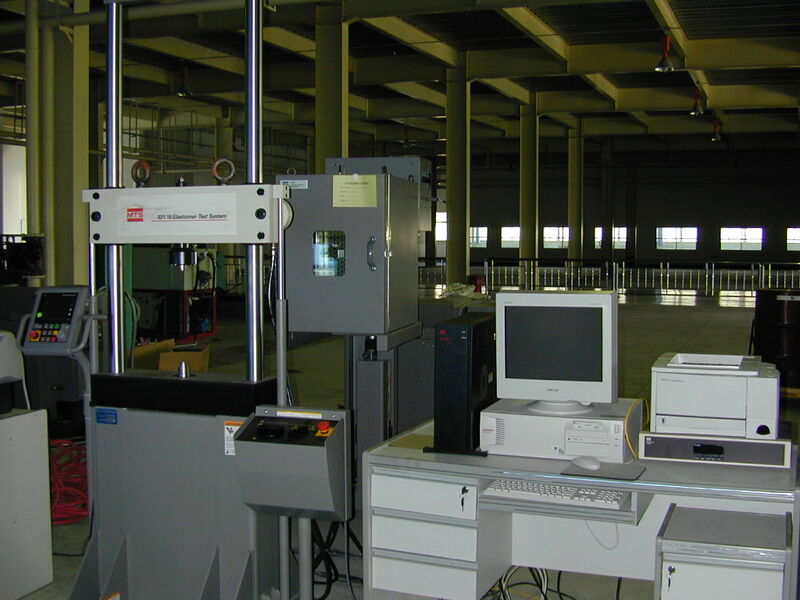 This material testing system provides unparalleled capabilities for performing a wide variety of tests on materials, components, and finished goods. The innovative design of the load frame provides for years of reliable service for all type of test and lab environments. Versatile - Performs a variety of static and dynamic tests. Accurate - With integral baseplate actuator for very high stiffness, exceptional side load resistance and excellent force train alignment. Precise - Factory laser alignment improves axial alignment and reduces specimen bending at all crosshead heights. Productive - Optional unit-mounted control modules speed, crosshead positioning, and specimen loading. Modular - Configure the system with your choice of actuators, servovalves, and service manifolds. Rugged - Built for years of trouble-free testing at its full fatigue rating.